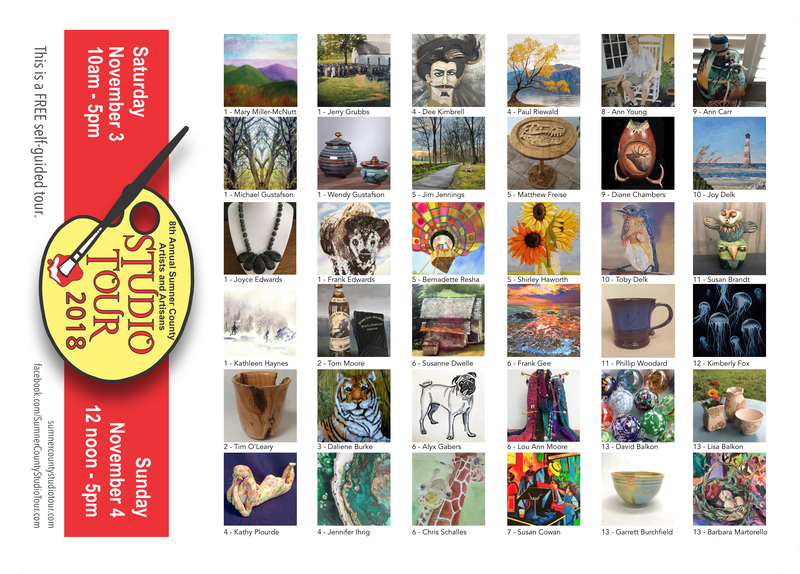 Click on artwork in right column to see brochure. Also a google map is on a separate page. Save the dates and check back for new studios and artists … and, of course, the artists that have been part of this from the beginning. 10/31/18 .. last minute cancellation because of a health emergency … Studio 8 will NOT be open for the Studio Tour. The artists/artisans whose work is on exhibit during this weekend are members of The Art Guild of Sumner County. We hope you will reserve the dates and join us on the tour!